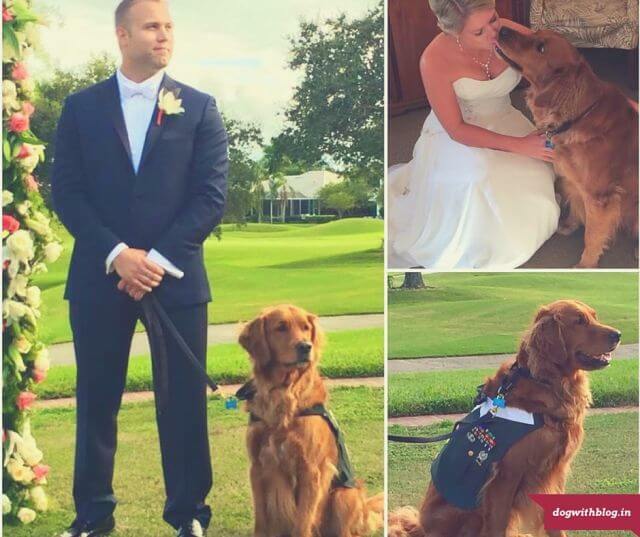 The World’s Cutest Best Man! Love is …having someone to hold. In 2012, the U.S. Army veteran Justin Lansford lost his left leg in an explosion in Afghanistan. Upon returning home to recover, Lansford was paired with Gabe, a then two-year-old Golden Retriever who had recently graduated from the Warrior Canine Connection. The WCC is a nonprofit that pairs wounded warriors with support dogs, who help their brave best friends improve their symptoms of post-traumatic stress disorder. Gabe recently shouldered a brave new responsibility, serving as the best man in Lansford’s wedding to longtime girlfriend, Carol Balmes. Gabe certainly is the World’s Cutest Best Man! Dogs do know what love is! Perfect picture!!! Someone to hold..
Kaalicharan, please do go read our post today. We talked about you and are hoping you will like what we had to say. Hi there! I came from Buddy and Ginger’s bloggie and just want to tell you how great I think your bloggie is and what a wonderful thing you’re doing! I live all the way over in the United States but sometimes people don’t treat four-leggers very nicely over here either. I think it’s most important to remind them that we need to be loved and feel safe just like humans do. Why do you suppose there are some humans who forget that? Anyway, I hope you have a most spectacular day and I can’t wait to get to know you better! It’s great to discover like minded souls be it from any geographical terrain…home is where the heart is! I too wonder at times about the behavior of man but then our hope rest in kind specimens of the human form like you! This is so beautiful! Touched my heart 🙂 Hi! It’s great to meet you, I found you through Ginger and Buddy’s wonderful story about you. I am now a follower! Paws! this picture is totally awesome! you are so right, there’s nothin’ better than cuddles and lovins from your hooman!! beautiful picture but you didn’t mentioned about the debate . Next Next post: What one man can do?